SAVE THE DATE! 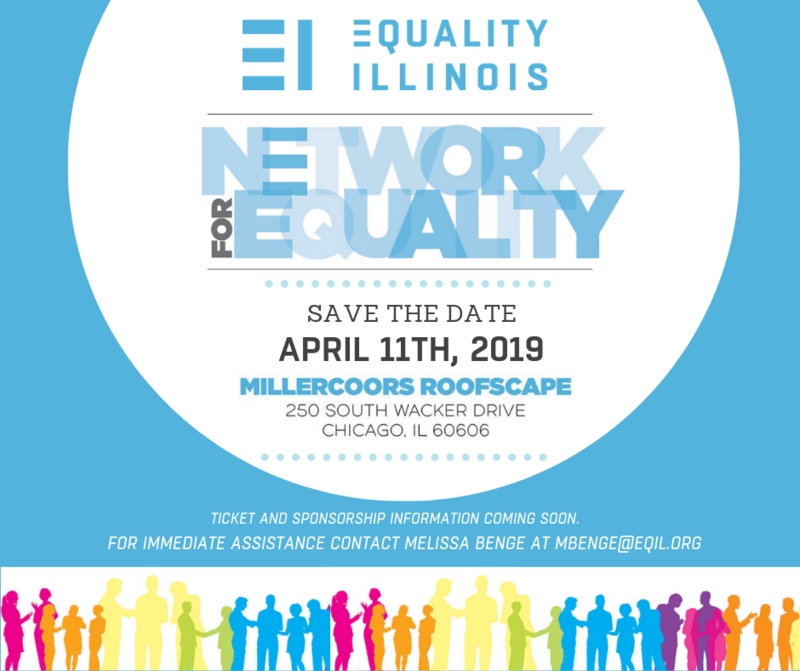 Equality Illinois’ premier LGBTQ networking event, Network for Equality, taking place on Thursday, April 11, 2019 from 5:00pm – 7:00pm at MillerCoors Roofscape. This fun event serves as a space for LGBTQ people and allies to come together, network, and build community. For sponsorships or additional information, please reach out to Melissa Benge at mbenge@eqil.org.